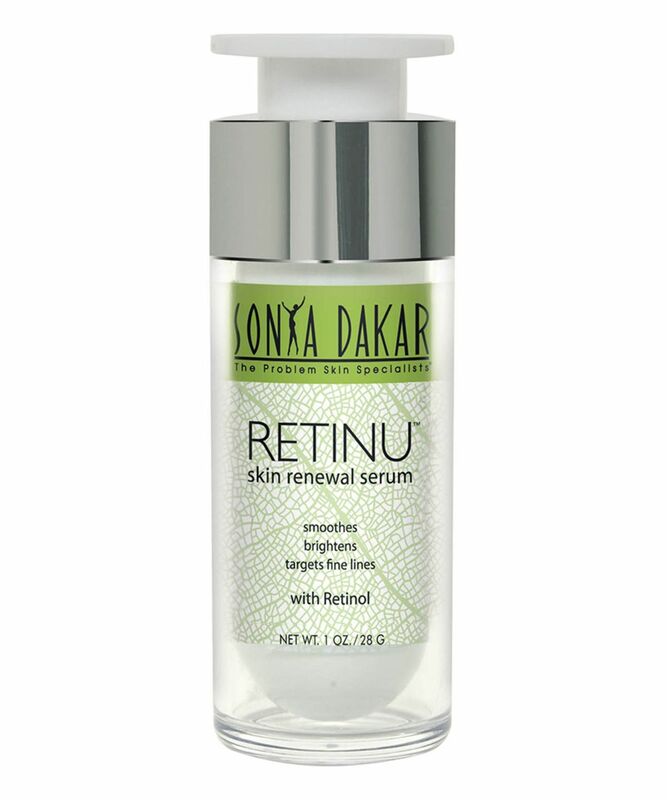 A supercharged, supernatural retinoid (it’s derived from vitamin A-rich sea fennel and buriti oil), Sonya Dakar’s Retinu wages war on all primary signs of skin ageing. Like liquid silk, this glides over skin where it sets straight to work – stimulating sluggish skin cells to kick-start regeneration and repair processes. The addition of Lavandox – Spanish Lavender-derived ‘topical Botox’ – then minimises micro-muscular contractions to diminish visibility of wrinkles. The result? Smoother, plumper, more luminous skin in as little as 10 days. Beverly Hills-based Sonya Dakar is the secret behind Gwyneth's gorgeous glow, as well as being the A-list's go-to guru – tasked with transforming their skin to guarantee they're constantly Red Carpet-ready. 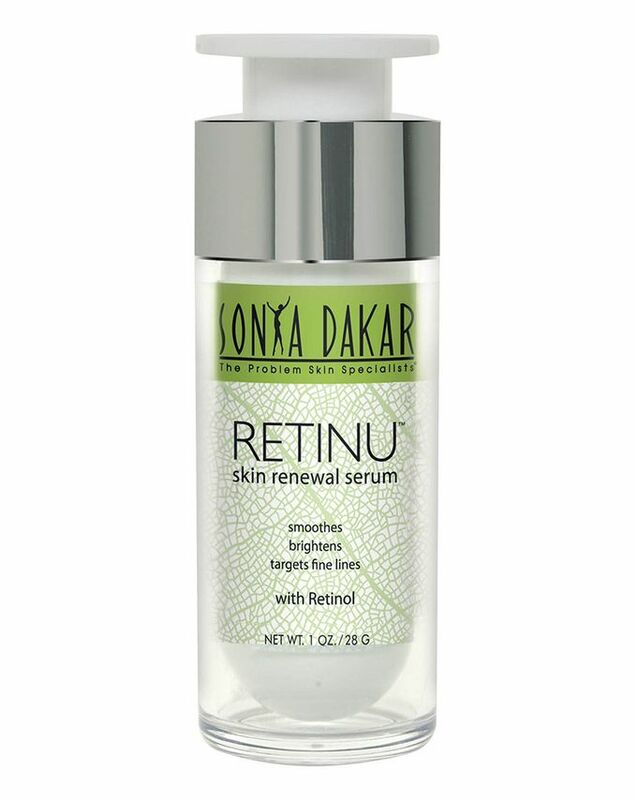 Unlike creams or moisturisers, Sonya Dakar’s weightless Retinu serum is able to penetrate deep within skin where it ‘irritates’ cells into action. As we grow older, our skin’s production line slows down – cells manufacture essential ‘scaffolding’ such as elastin and collagen more slowly – which is where retinol comes to the fore. Like a parent who insists you ‘GET OUT OF BED!’, the vitamin A-derivative renews cells’ vigour so they behave like much younger versions of themselves. Skin texture is refined and tone becomes more even – and because the retinol is naturally-derived, the skin-renewal process is extremely gentle, so you won’t encounter any all-too common dryness, redness or unsightly flaking. After cleansing, massage a few drops onto face and neck. Follow with your preferred moisturiser and ALWAYS apply sunscreen if you're applying in the morning - retinol can increase photo-sensitivity, so use and SPF to ensure skin's protected. Sonya Dakar's Daily Face Shield SPF 30 is perfect. Cyclopentasiloxane, Stearoxymethicone/Dimethicone Copolyol, Dimethyl Isosorbide, Dimethicone, Hydroxpinacolone-Retinoate, Squalane, Solanum Lycopersicum (Tomato) Fruit Extract, Euterpe Oleracea Fruit Oil, Polysilicone-11, Ethoxydiglycol, Palmitoyl Hexapeptide-14, C12-15 Alkyl Benozoate, Tribehenin, Ceramide 2, Caprylic/ Capric Triglyceride, Lavandula Stoechas Extract, PEG-10 Rapeseed Sterol, Palmitoyl Oligopeptide, Mauritia Flexuosa Fruit Oil, Citrus Aurantium Bergamia (Bergamot) Fruit Oil, Tetrahexyldecyl Ascorbate, Resveratol. I would say it is one of the best retinol product I have ever tried. Amazing texture and skin feels like a velvet. Smell is fantastic. I'm definitely purchasing more!